January is National Creativity Month. Who Knew? On Wednesday, April 24, Golden Bridges, Inc. will complete their work with the administration and staff of the Illinois Veterans Home to finalize the transition of residents to the new Lester Hammond Hall living facility. Prior to the relocation of residents, Golden Bridges staff have provided pre-move family communication ensuring that individual residents’ needs are met and family members are informed and involved. Six years experience in relocating clients, plus specialized training in serving seniors with disabilities and/or dementia enable them to anticipate and answer the specific needs of IVH residents. During the move, Golden Bridges staff will work alongside Veterans Home staff and directly with residents and their families to reduce transfer trauma. By setting up the new rooms as similarly as possible to their former rooms, it will be easier for residents to feel comfortable in their new surroundings. Transition to full occupancy of Lester Hammond Hall began in February, and concludes this week with the largest one-day move of 30 residents. Golden Bridges will use eleven staff members to sort, pack, and unpack veterans’ belongings. Items will be transported by IVH staff and volunteers of the local American Legion. Following the move, Golden Bridges will follow up with residents and families to ensure that their needs were met throughout the process. Golden Bridges is a Senior Move Management company that provides solutions for those in transition. Inaugural winners of the QACC Business Plan competition, they have served over 200 clients during six years in business. They have a total of fourteen staff members and a second location in Springfield, IL allowing them to serve an area that includes Northeast Missouri, Southeast Iowa and Central Illinois. To receive a free in-home consultation for your moving, downsizing or organizing needs, call them at 888-922-6368, email info@goldenbridges4you.com, and check them out on Facebook. For additional information regarding this press release, call Susan Scholz at 217-316-6887. I just read an article about people like me (the chronically tardy). It says that we are happier, healthier, and more optimistic. One of the reasons why is that we actually believe that we can do four things at once. Like leave home at 15 minutes before the hour, stop for a cup of coffee, run into the store to get the doughnuts I promised, get gas, and still make it to the meeting on the hour. As Senior Move Managers, we often have many balls to juggle for one client and three or more clients to serve at a time. We love being this busy. We love serving our clients. And making three or more stops on the way to a meeting is one of the ways we get things done. Perhaps it is a sign of our multi-tasking society, the fast pace of the world, or even my age catching up with me! According to the article, people like me actually may feel the passing of time differently from other people. Regardless, I am still going to try to get there on time… and get gas, and coffee, and pick up doughnuts at the store on my way! To read the full article on "People Who Are Always Tardy Live Longer, Science Says"
There are many senior bloggers doling out advice, musing about health issues or just sharing their experiences with aging. At Golden Bridges we try to share what we have learned and hope to make your aging easier. 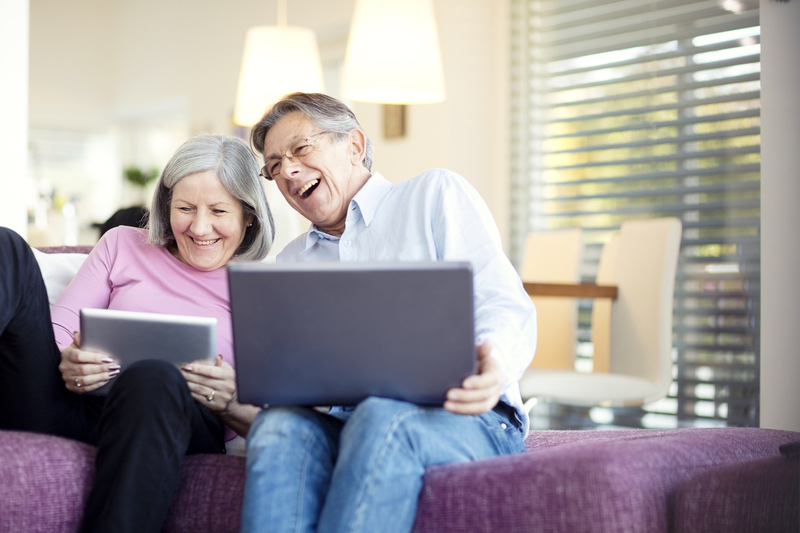 The article I have shared here gives you a snapshot of five popular senior bloggers. I personally follow two of them – George Takei and Iris Apfel. I also follow Dian Griesl on “Silver Disobedience”. Sure, she was a Wilhelmina model. Sure she’s beautiful. She’s also real and relatable. Check them out. You’re sure to connect with one (or more) of them. 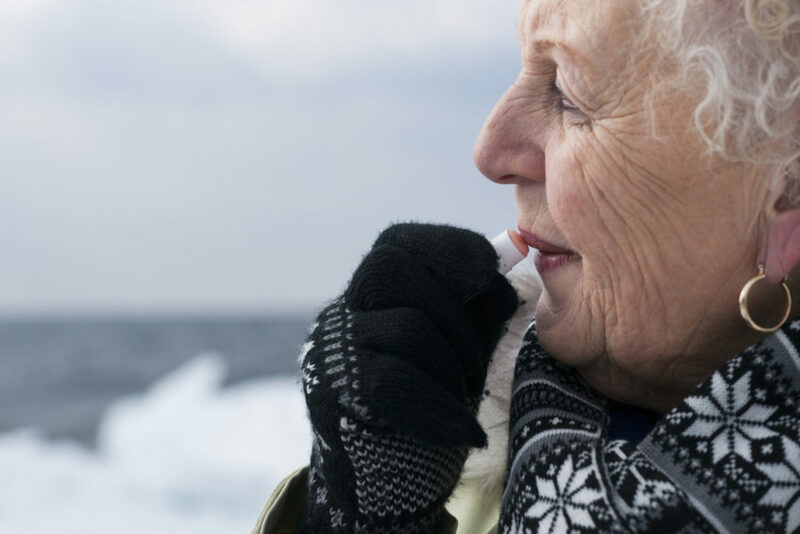 Posted by Golden Bridges 4 You on Feb 20, 2019 in Senior Move Managers | Comments Off on I’m Freezing! That’s a phrase I use all the time. Summer, winter, spring, even fall. My body does not like to be cold. This winter has been especially rough. I have blankets scattered throughout the house. If there is ever a shortage of sweaters, call me. I have some extras. Ok, not enough for everybody, but I’ve been know to wear more than one a day and have them stashed at work, home, in the car… even in the summer. Recently I have done some research about how we react to cold. The physical things – like shivering and craving fatty foods and hot beverages. Also the behavioral responses. Me, I get sleepy and cranky… how about you? What can you do? Put on another sweater! Call your loved ones to check on them. Offer to go grocery shopping for an older neighbor so they don’t have to get out on the ice. Check their smoke and carbon-monoxide detectors (and yours too while you’re at it). Make sure to get sunlight when possible. Layer, layer, layer. Dress in light layers that provide thermal protection while indoors. Layer on outdoor accessories- gloves, scarves, hats when venturing outside. (Check out the video link on our Facebook page for the warmest way to tie a scarf!) Layer your bed with flannel sheet, comforter, then thinner blankets that provide weight and more layers of warmed air, or use knitted/crocheted afghans (a tip I found on lifehacker.com). And remember that sooner or later the weather will change! Posted by goldenbridges4you on Jan 22, 2019 in Senior Move Managers | Comments Off on January is National Creativity Month. Who Knew? Blogging is a creative endeavor. I am a creative person. Senior Move Management (SMM) is a creative industry. Even though SMM is 20 years old, we use creativity and innovation each time we are on the job. Sorting for our clients is “like being the curator for the museum of their lives”. This profound statement was shared by a member of our staff at a recent training meeting. Warren “Woody” Woodward has worked with us for nearly 5 years. He has a heart for helping people, and a passion for green business practices. The latter quality makes it challenging for Woody to throw anything away. Thus he uses innovation and creativity in recycling almost anything that a client would be downsizing. We have learned from him that creative recycling can be exciting and rewarding. Take old greeting cards to local nursing homes to make into place mats. Towels, blankets, and pillows to local animal shelters. 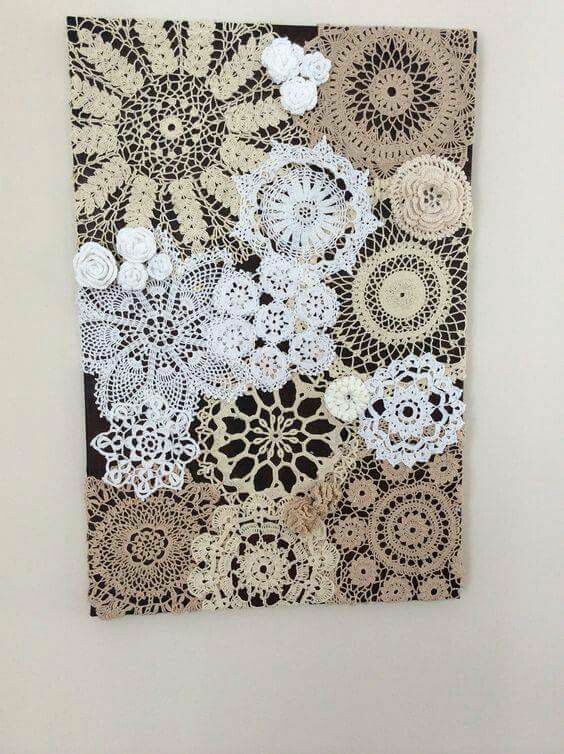 Grandmother’s linens (think lace doilies) into a piece of art. What is in the “museum of your life” that could be shared with the world, your family, your neighbor, or a local charity? At Golden Bridges we will use our creativity and innovation to find the best possible use and new life for those items. In property, there are three things that matter most: location, location, location. This is paraphrasing a British real estate tycoon’s advice for success in real estate. As rural entrepreneurs, we can relate to that advice. Because we cannot (and frankly don’t want to) change our location, we have learned that what matters most is: visibility, visibility, visibility. Being in the relatively new industry of Senior Move Management, we knew that in order to obtain business, our potential customers first needed to know what we do, and how we could help them. That is why we entered our local Chamber’s Business Plan Competition. It was the perfect opportunity to introduce this concept to our rural market and gain VISIBILITY within the business community. It not only yielded us start-up capital, but tremendous exposure in local media for our business and the introduction of Senior Move Management as an industry. Beyond our local market, we knew that Rural America could benefit from the service we provide to those who are facing the difficult task of leaving their farm – their roots – and moving (literally) into a new phase of their lives. The Farm Bureau’s Rural Entrepreneurship Initiative Challenge gave us the opportunity to provide VISIBILITY in the rural market for what had been primarily an urban-based service. And, as a finalist in the REI Challenge, we again received media coverage for ourselves and the Senior Move Management industry. As a result of being a top four finalist in the challenge, our prize money has now afforded us another level of VISIBILITY in the area we serve. By purchasing a company vehicle – and wrapping it with our logo – we have now achieved a higher level of recognition in our local market. While working with a client in a senior living community, our logo is visible and present. Our referral sources in those facilities, in estate planning and trust departments, and in healthcare settings are reminded whenever they see the van that we are here to serve their residents, clients, and patients. Posted by goldenbridges4you on Sep 2, 2015 in Senior Move Managers | Comments Off on Golden Bridges, Inc. Exposure and credibility from participating in a national entrepreneurship contest – Priceless! Golden Bridges was founded two years ago when three good friends were looking for a way to make a difference in our community and chose Senior Move Management. The concept is not new. In fact, it is an industry that has thrived in urban communities for more than fifteen years. As rural entrepreneurs, we are bringing this concept to farmers in our service area. The experience of participating in the Rural Entrepreneur Initiative Challenge sponsored by Georgetown University and the American Farm Bureau Federation has afforded us many opportunities to talk about our business, our industry, and how we can help solve the difficulties that so many aging farmers are facing of how to move “off the farm”. And, in the process, we gained valuable insights about our small business from the judges’ comments and suggestions along the way. During our live pitch and Q&A in San Diego we were stumped by one of the judges who asked us about our cost per customer. 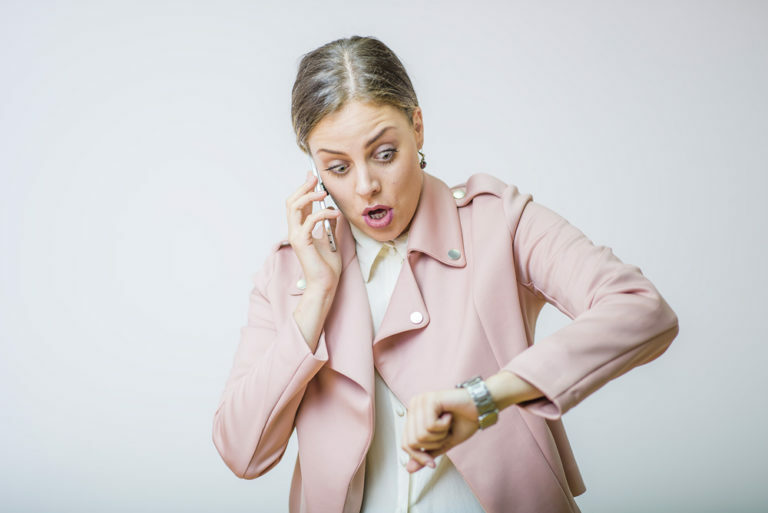 Not the boxes and the tape and the mileage expenditures… but how much has it cost us in advertising and manpower to make that client pick up the phone. What an “aha” moment – and a business metric we are now investigating and tracking as a result. And, of course, the obvious benefit from being named a national finalist in the competition was the check for $15,000 that we received in San Diego. Having used our personal vehicles for the past two years has taken a toll, and with our winnings we are purchasing a company vehicle that will stand up to country roads and will be wrapped with our logo and contact information. And, yes – we have already recorded the cost of that wrap as marketing overhead to be included in our “cost per customer”. Exposure for Golden Bridges as a national finalist. Before we left Illinois, while we were in San Diego, and since we returned home we have been interviewed by the media, honored by local Farm Bureau offices, and recognized by potential clients as being “those golden girls who went to California”. Credibility from participating in a national contest. While there we had the opportunity to learn more about entrepreneurship and pitching our product from the contest judges, compare notes and experiences with our fellow contestants, and to participate in a Town Hall with Farm Bureau President Bob Stallman and US Secretary of Agriculture Tom Vilsack. In our book, that adds up to a priceless opportunity. One which we highly recommend to other rural entrepreneurs! Posted by goldenbridges4you on Oct 29, 2014 in Senior Move Managers | Comments Off on City-scape. Green-scape. Cloud-scape. Viewed from “street level”, all of these can look chaotic and frightening. But rise above it – as I did recently on a flight to the east coast – and they become more two-dimensional. It becomes easier to see the “organization” of tall buildings and streets, trees and streams, fluffy billowy clouds and long cirrus ones. Individual items become easier to see – and to sort. A city-scape at street level can be confusing. Tall buildings block your view. Sidewalks sometimes stop without warning – or are blocked by construction and repair equipment. Street signs are missing, or not consistent. Navigating at street level can be frustrating. As you move beyond city streets into the green-scape, roads are now marked with large street numbers that make sense only to those who need to use them (emergency personnel). The familiar colloquial names we grew up with are not used, and what we knew as “The Holler” becomes 153rd Street. Even clouds when viewed from the ground can look ominous – is it the long, stratus cloud that carries the rain or the tall cumulonimbus? And when they all blend together to create a dense cloud cover can you even tell which is which? Apply the same perspective to a move-scape. When you are in your home staring at all that has to be packed, sorted, and then resettled into a new home it is overwhelming! But, view it from a higher level or different angle and it becomes easier, less chaotic. At that height a cityscape becomes a grid of streets and buildings. Traffic moves in organized patterns. People emerge from buildings and move naturally into the flow of pedestrians as if pre-programmed on their path. From high above, the hill that blocked your view of the river ahead melts and levels out to reveal fields, fences, forest, and Fore! (yes, golf courses are very easy to spot from above). And clouds – well, there’s nothing I love more than watching the wings of a plane slice through altocumulus, cirrus, nimbostratus… and yes, even those frightening cumulonimbus clouds. So – as you sit and ponder what to do with all the “stuff” you’ve accumulated over the last 30, 40, or 50 years living in your home and you become overwhelmed and defeated… take to the air(waves) and call Golden Bridges. We are here to give you the view from another perspective. At our level, what we see is: Organization and order… A smooth flight… Full speed ahead… We’ve got this! And your view becomes… peace of mind! When passion, mission, vocation, and profession meet in the middle – you get the star. For those of us at Golden Bridges we are living in the Star. Check out this TV ad on aging. It really puts everything into perspective. Senior Move Management is the profession that assists older adults and their families with the emotional and physical aspects of relocation and/or "aging" in place. We offer a range of consulting services--all designed to help seniors make a smooth transition into the next phase of your life. See for yourself what others have to say about Golden Bridges and how we’ve made others’ move seamless, simple, and easy.